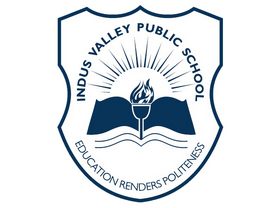 The new session began with a bang of cheering noise for all IVPians as our school was ranked one of the best schools in the Ranking Survey 2018, conducted by Digital Learning Magazine in the November 2018 issue. 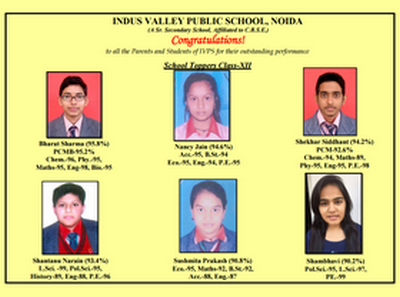 Congratulations to all IVPians! And thank you for being with us through thick and thin. May the Almighty God continue to bless us all! 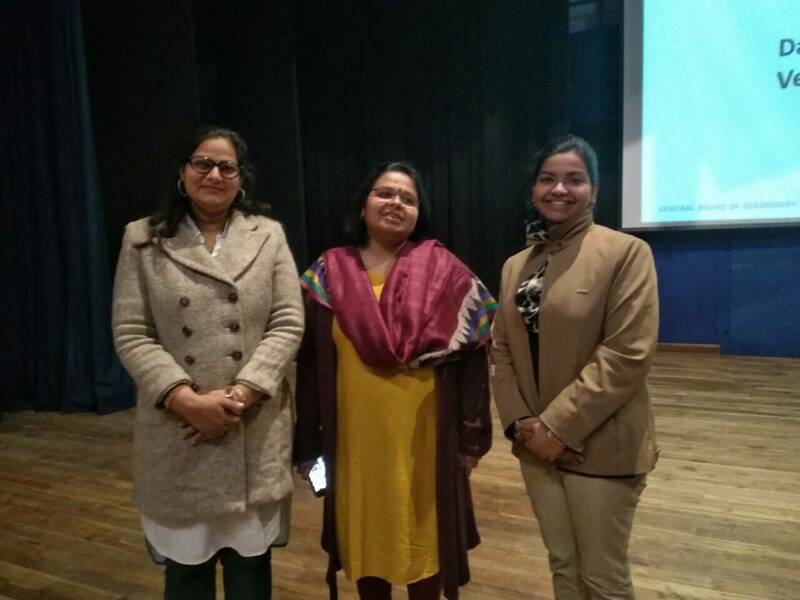 CBSE organized a two days capacity building program on English for the teachers of class X at Sapphire International School, Noida on 12th and 13th April 2019. 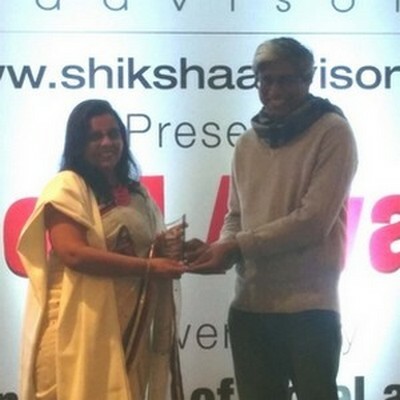 It was attended by Ms. Poonam Chaudhary (TGT English). Workshop was conducted by the resource Ms. Ruchi Sengar. She discussed about the student's learning techniques, methodologies to teach various skills like: reading, writing and grammar, different activities were suggested to infuse the passion for sileat reading, framing of questions for periodic tests, assessment of student learning, marking scheme and blueprint of board question paper. Overall it was an interactive session. 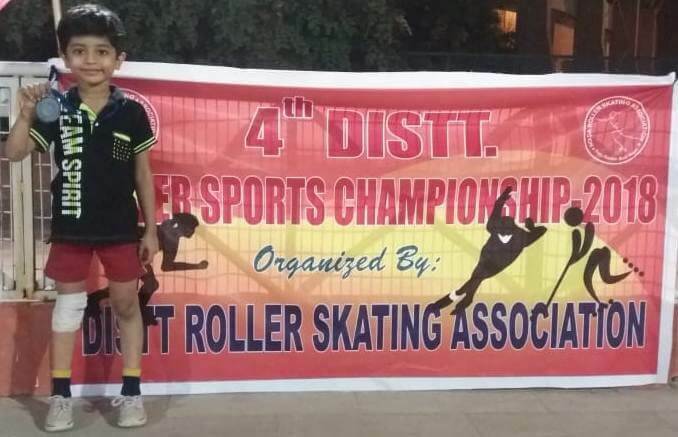 Aarnav Lakhani, a student of Class 1 was awarded the 3rd Prize at the District Roller Sports Championship. At IVPS, we encourage our students to go beyond the classroom and participate in offbeat activities such as these! 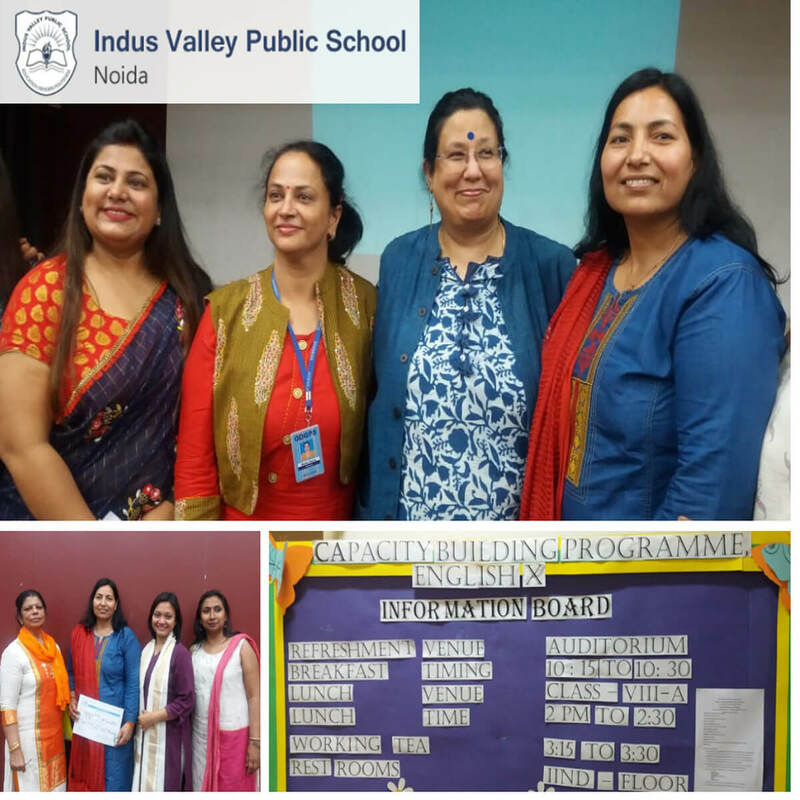 ‘Life skills prepare us to face the outer world.’ With this motive, Ms. Himani Barthwal Dabral and Ms. Amrita Ramanathan attended a workshop of ‘Capacity Building Programme on Life Skills’ at Lotus Valley International School on 15th February, 2019. The resource person, Ms. Abha Jha beautifully defined the term life skills as the abilities which will help learners to be successful in living a productive life. These skills help students improve their personal and social qualities. It was an interactive programme which helped teachers to learn how life skills can be integrated with all the subjects and they should become positive role models for their students. 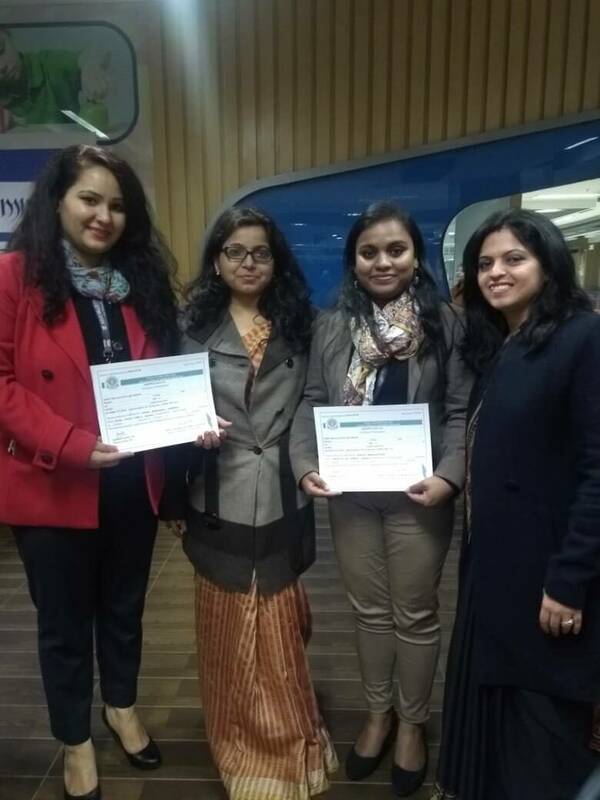 Ms. Neha Sharma and Ms. Nishtha Kathuria attended a workshop at Fr. 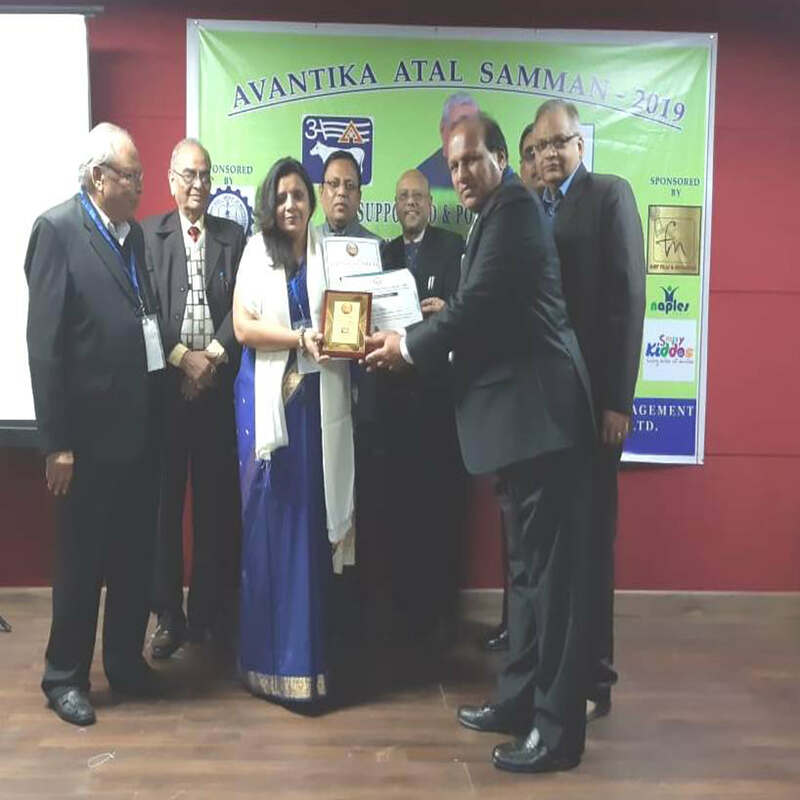 Agnel School, Noida on 8th and 9th February, 2019. 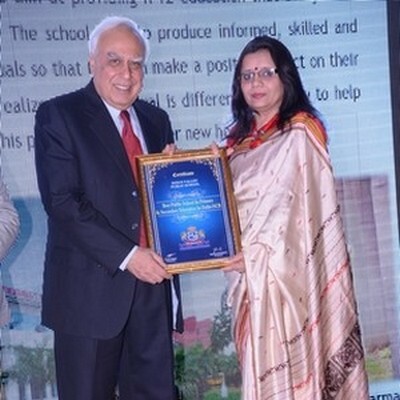 It was conducted by Dr. Pooja Jaitley in collaboration with CBSE to inculcate the concept of inclusive education in CBSE schools. The main emphasis was laid on the lesson plans which cater to the psycological and physical needs of all the children. It also clarified the terminologies related to the needs of the special children. For teachers, as for students, the most effective evaluation comes from someone who sits besides us and helps us grow. 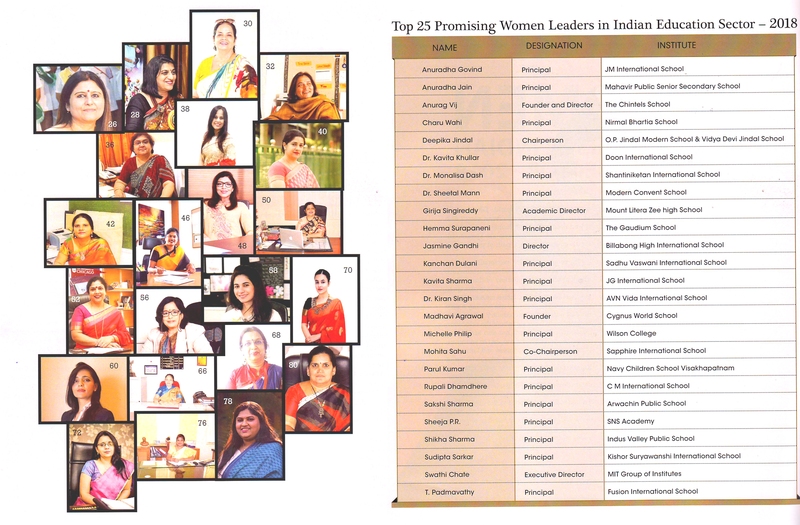 And this work is done by CBSE for the teachers who regularly organize such workshops for them. 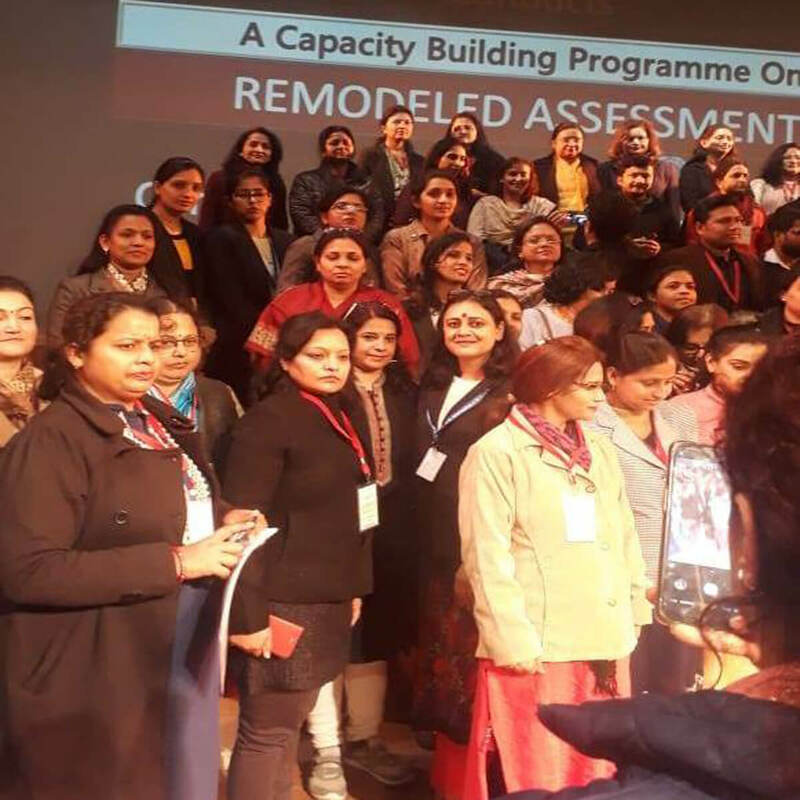 One such workshop was the Capacity Building Programme on Remodelled Assessment held on 7th February, 2019 at DPS, Greater Noida. The objective of the assessment structure was to identify the gap in the teaching-learning process and understanding of students. 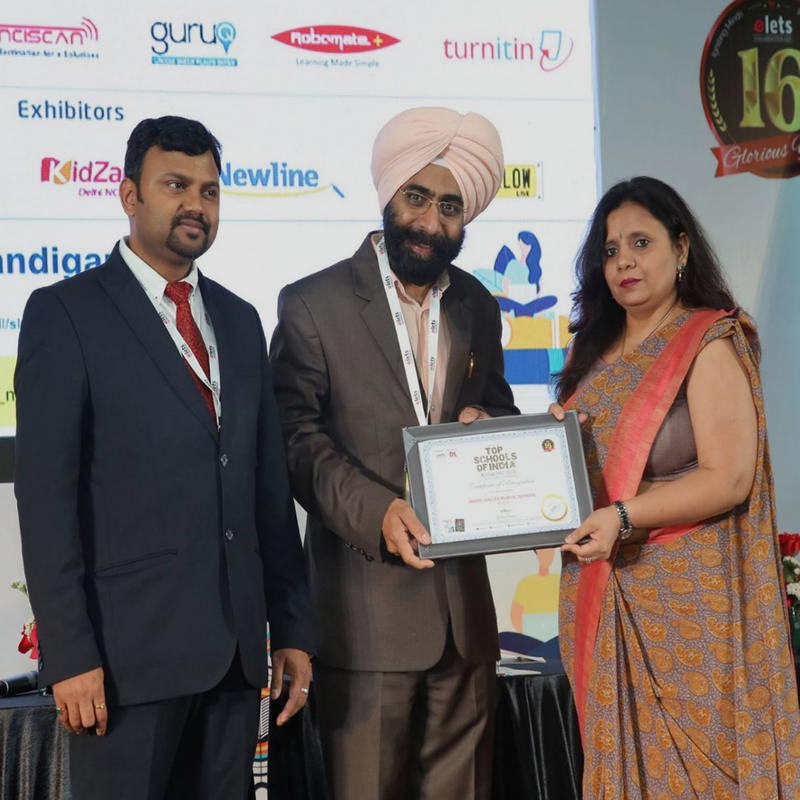 The teachers were enriched by the resource person, Ms Gurpreet Singh, who explained the core elements of Internal Assessments and how best to make the optimum utilisation of this model. The emphasis was given on the points to keep in mind while assessing the students. Few activities were also conducted by them to make it more interactive. 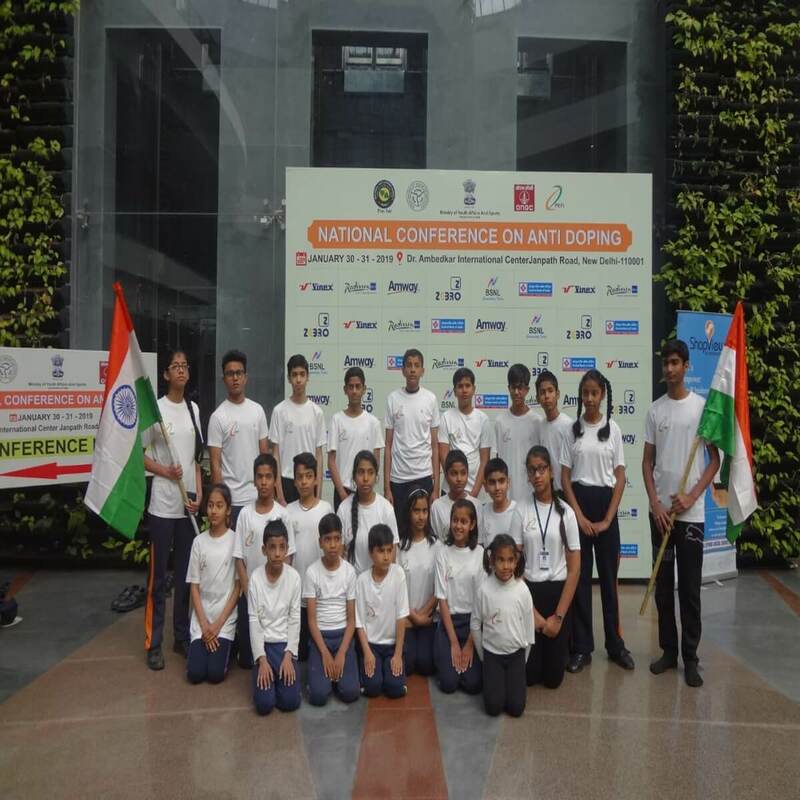 IVPS students demonstrated Yoga asanas during the opening ceremony of national level. The seminar was conducted by Physical Education Federation of India at Dr. Ambedkar International Center, Janpath Road, New Delhi on Anti-Doping, January 30-31 2019 in presence of Col. Rajyavardhan Singh Rathor, Minister of State for Youth Affairs & Sports, Mrs. Mary Kom, Member of Parliament & Olympic Medalist and B.J.P Leader Sh. Manoj Tiwari, Patron of PEFI. The performance of our students were applauded, school and our Yoga Guru Mr. Sarvesh Upadhyaya got the certificate of appreciation. Great news to be shared with you all!!! Siddhi Pillay & Abhay Kumar of our school have qualified for the National Level Science Exhibition by exhibiting “The Adiabatic Cooler" under the guidance of the Science faculty. 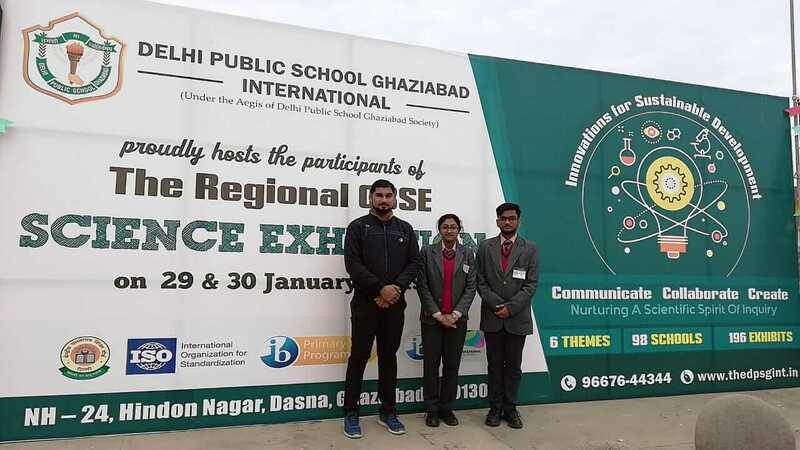 The two days Regional Level CBSE Science Exhibition was held at DPS international, Ghaziabad on 29th and 30th January, 2019. Out of 196 exhibits represented by 98 schools, only 18 exhibits were selected for the National level. 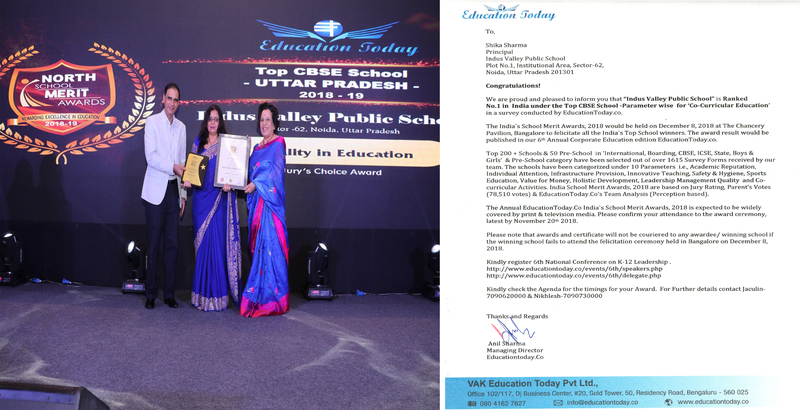 Indus Valley Public School, Noida is delighted to be once again honoured with an Award. 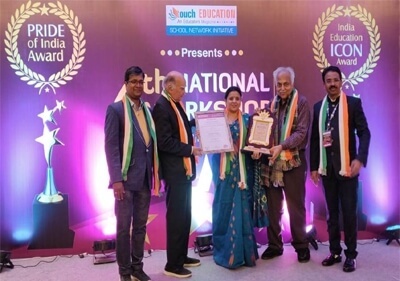 Our concerted efforts were appreciated and recognized by Education Today as our school has been awarded as “The Best CBSE School in Co-Curricular Education, 2018” by Education Today on 9th December, 2018 at Bangalore. 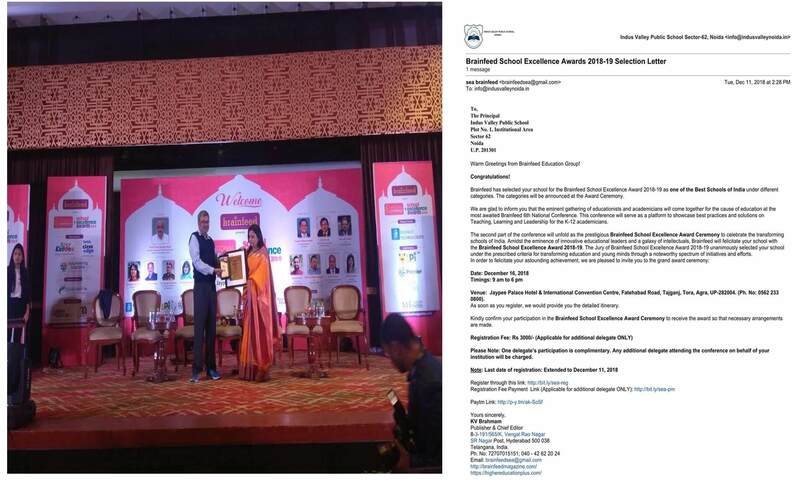 Our heartfelt thanks to Ms. Jessy Nair, PGT (Economics) for accepting the award on behalf of the School Management. Our school students participated in Cricket Tournament in 5th Indus Valley Cup Under -14 Cricket Tournament, organised by Aasish Nehra Cricket Academy, at School Campus. Our students brought laurels by winning many prizes. 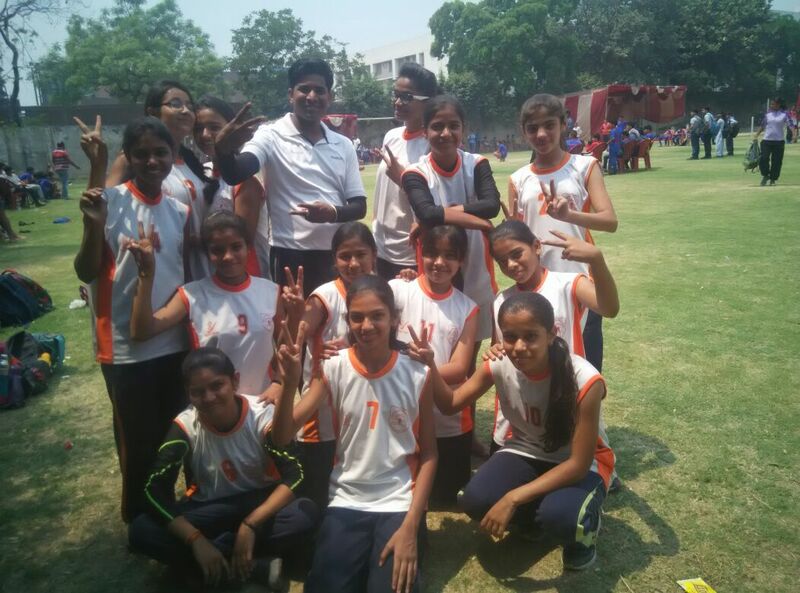 Our school students participated in Volleyball District Trials for State Championship, organized by District Gautam Budh Nagar Volleyball Association, at Noida College of Physical Education, on 21st November 2018. 2 boys and 5 girls of our school were selected for District team. 1. 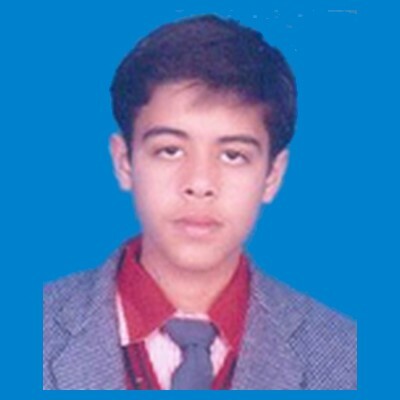 Kaushal Pal 11th Sci. 2. 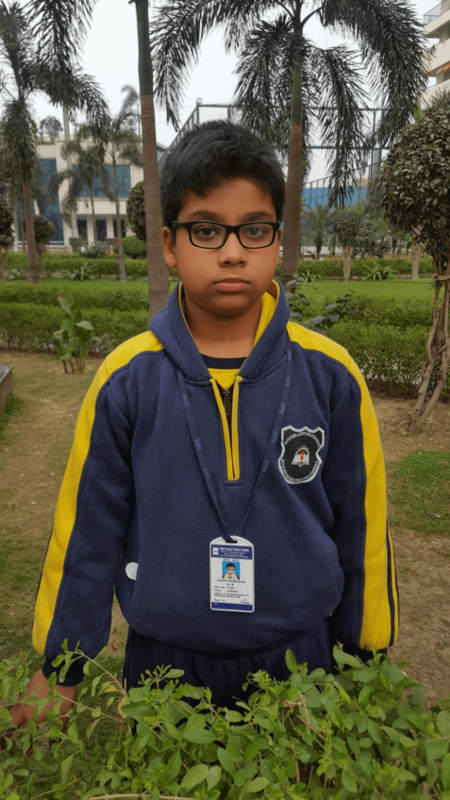 Abhishek Singh 11th Hum. 3. Aarini Mishra 11th Hum. 4. Shreya Singh 11th Com. 5. Bhavna Yadav 11th Hum. 6 Prachi Sharma 11th Com. 7. Jyoti Kumari 11th Hum. 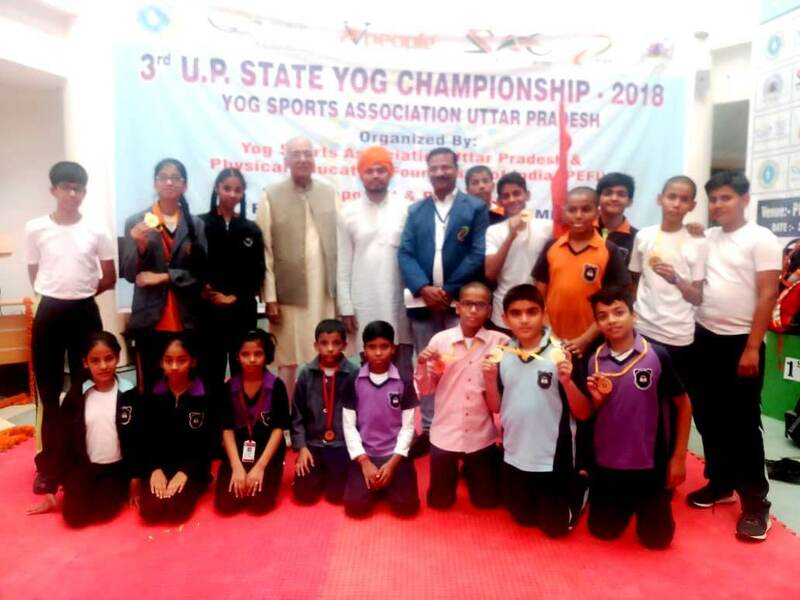 Our school students participated in Yoga Championship in 3rd State Yoga Championship 2018, organised by Yog Sport Association Uttar Pradesh & Physical Education Foundation of India (Uttar Pradesh Chapter) held at Petals World School, Kaushambi Ghaziabad, on 20th November 2018. Our Students brought laurels by wining 2 Gold, 1 Silver, 1 Bronze Medal & 1st position in Group Yoga. 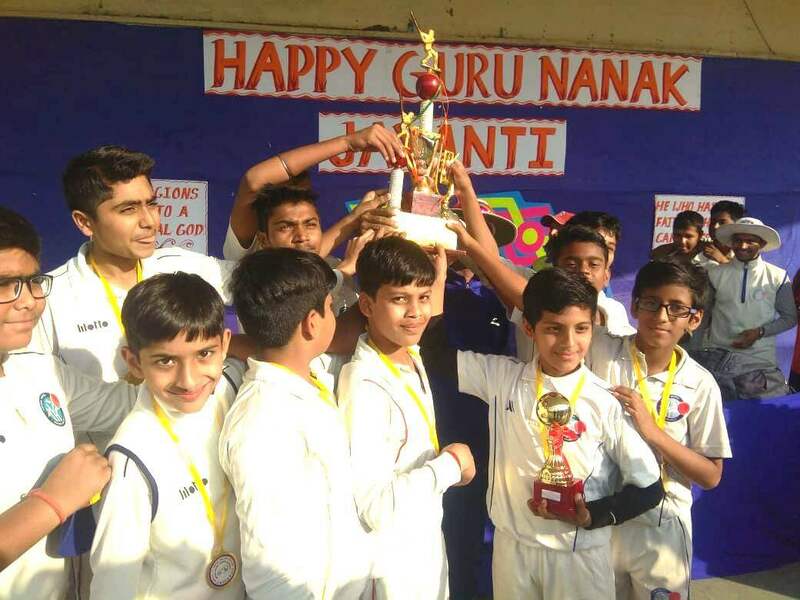 Our school students participated in School SSPF District Cricket Tournament organised by School Sports Promotion Foundation, District Gautam Budh Nagar at NCR Cricket Ground Sector -122, Noida on 15th October 2018. Ankit Singh of class VIII is selected for District cricket team. 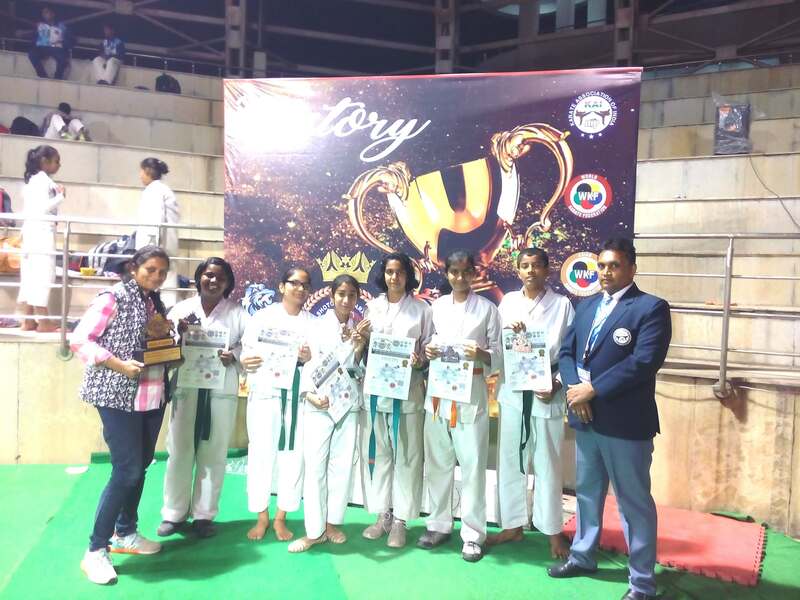 Our school students participated in Karate Championship in “The Royal Challenges” Cup All India Shoto – Kai Karate Championship-2018, organized by Shoto Kai Karate-Do India on 17th & 18th November 20018, at Shaheed Vijay Pathik Sports Complex Greater Noida Gautam Budh Nagar(U.P. ), The Children Brought laurels by wining 3Gold, 2 Silver, 2 Bronze Medals. 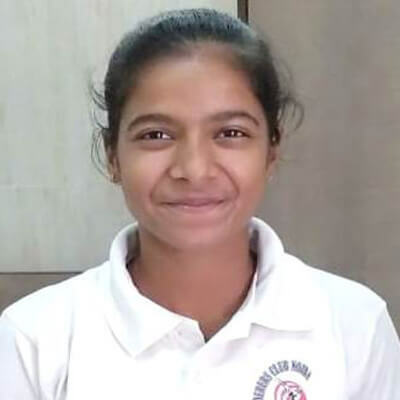 Indus Valley Public School is delighted to announce that our student of class 12, Manvi Sharma, has been selected in the Under 19 Girls Cricket Team. The news did not come as a surprise since everyone in the school knew how consistent she had been with her cricket practice. The ecstatic coach, Mr. Phool Chand said that it was the result of her hard work which paid off. Manvi has been selected for her brilliant bowling. How selection in the Delhi and U.P Team has proved that nothing is impossible to a determined mind. 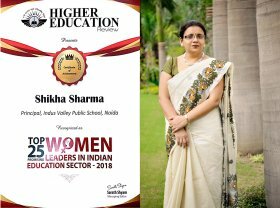 The school Principal, Mrs. Shikha Sharma congratulated her and expressed happiness at her selection. 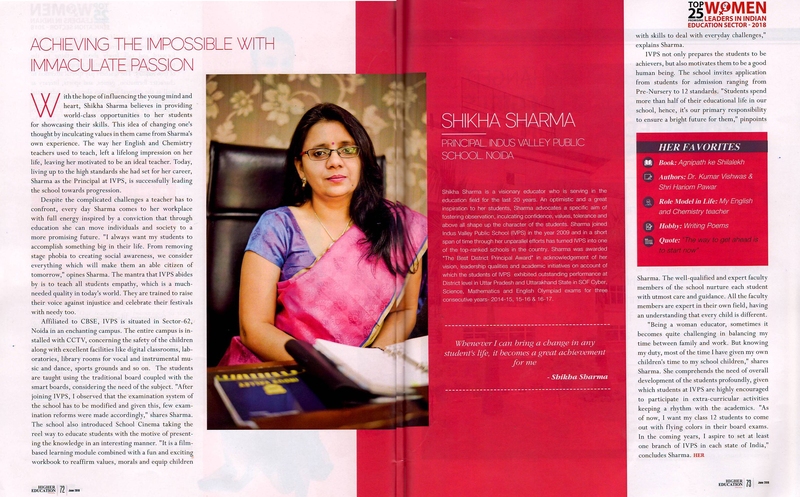 She said that it's the result of her passion and consistent efforts that brought her this achievement. She is sure that Manvi will play for India one day and make us all proud. IVPS family congratulates Manvi and wishes her good luck for her future. Our school students participated in Karate Championship in 2nd District G.B. 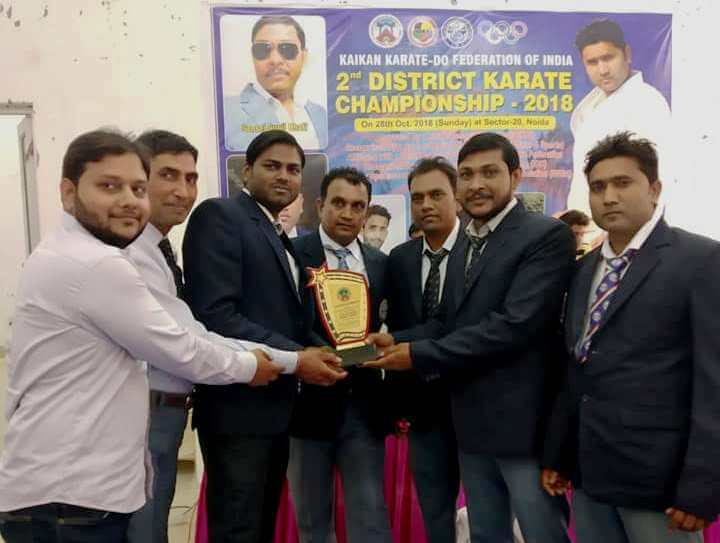 Nagar Kai Kan Karate Championship-2018 organized by Kai Kan Karate federation of India, on 28th October 2018, at Community Center, Sector -20, Noida. The Children Brought laurels by wining, 05Gold, 06 Silver & 11 Bronze Medals and school got 1st position. 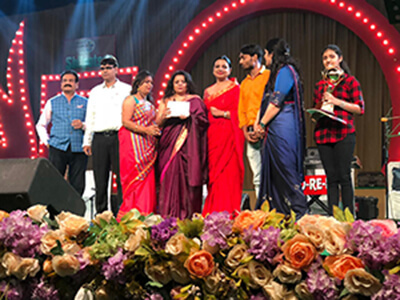 The school feels great pride and joy to share that our students gave a tough competition to other participating schools and notched the winner’s trophy. Our vivacious dancers set the floor on fire with their energetic Ganpati Dance. The spectators bore witness to the enthusiasm and energy of our young IVPians as they enthralled every one present there. 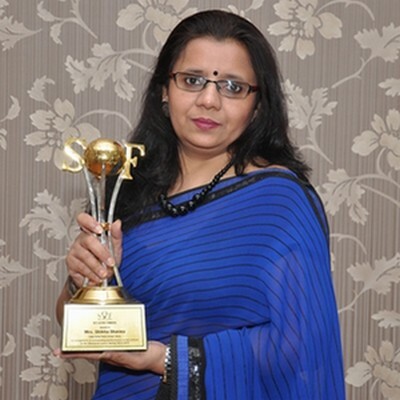 The trophy was presented by Mrs. Anju Chaudhary (R.T.O, U.P. Tourism, New Delhi/secretary Craft Mela Mahotsav Samiti, Noida). She congratulated them and complimented the efforts and energy put in by them. Congratulations to our students for this great achievement! 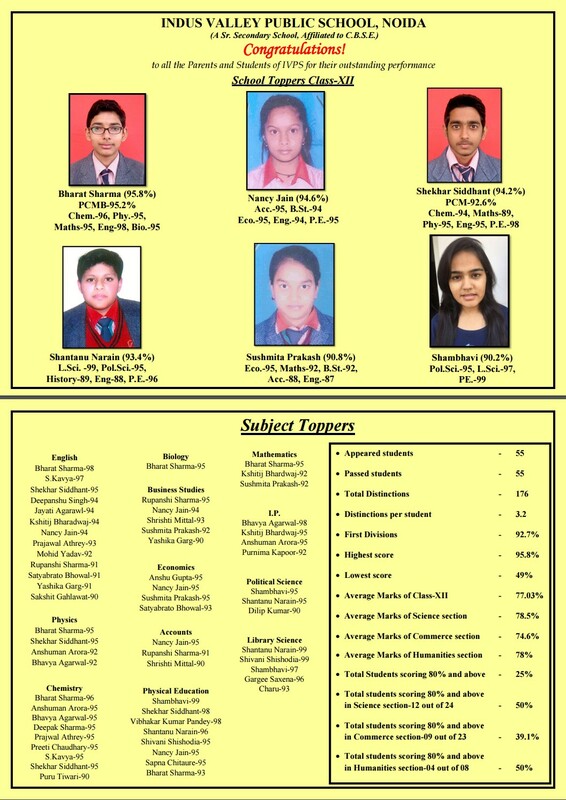 Superb and stupendous, that’s how the result of class XII students, 2015-16 batch can be summed up. The happiness of the students knew no bounds when they saw their board result for which they had put in their heart and soul. The 100% result of the students speaks volumes about the dedication and hard work of teachers. 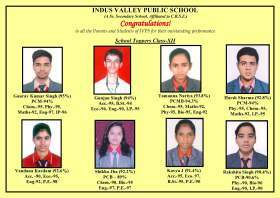 The first position was notched by Gaurav Kumar Singh who scored 95%, while Gunjan Singh and Tamanna Nariya scored 94% and 93.8% respectively. Congratulations to all the Parents, Students and Teachers! Our children participated in Picasso (MS Paint) and Robotics (Manual) conducted by Khaitan Public School, Noida on 06th May 2016, winning Second and First Position respectively. 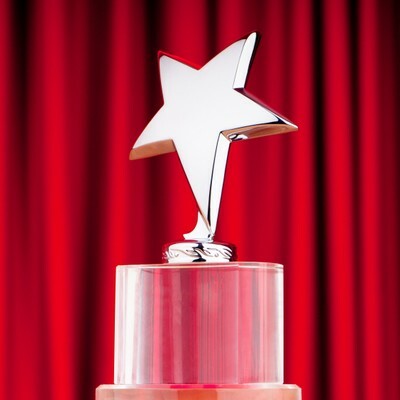 Congratulations on your well deserved win! Our聽children bagged first position in Craftzilla Competition conducted by Bal Bharti Public School,聽Brij Vihar on 29th April 2016. Congratulations Harsh Sharma for clearing JEE (Main)-2016 Exam scoring 201 marks! IVPS family is proud of you. 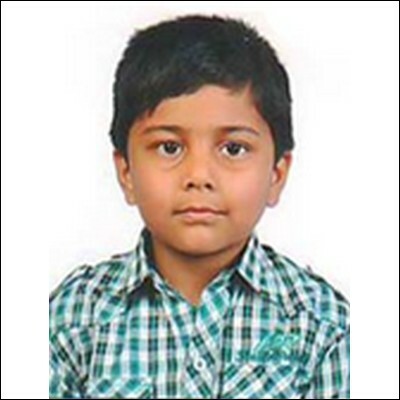 Dhruv Srivastava of class I-B has secured 1st International rank in International English Olympiad.